We go market crazy in 2019! After joining the Colchester and Bell Inn Farmers' Market earlier this year, we now venture into the Dengie. 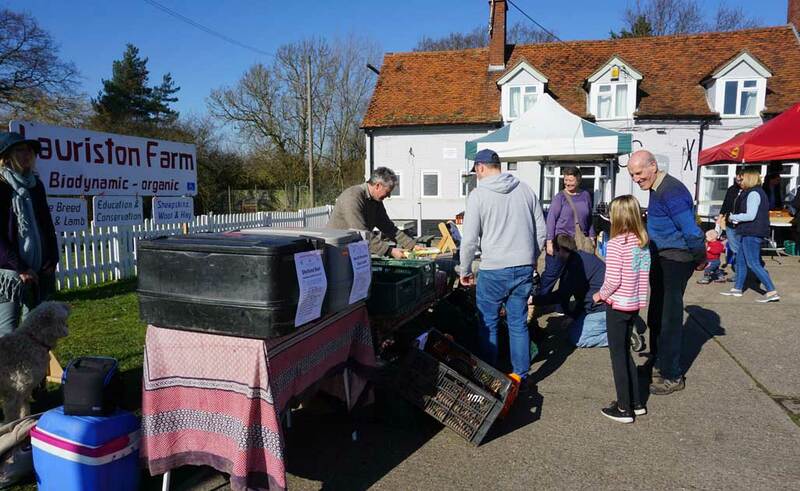 Biodynamics meets Burnham-on-Crouch, as we started trading at the Burnham-on-Crouch Farmers' Market in March. With high winds forecast, we opted to be inside in the relative safety of the Hall. Again, sales went well and we were cleaned out of our Purple Sprouting. Word had obviously spread that we were coming to town. 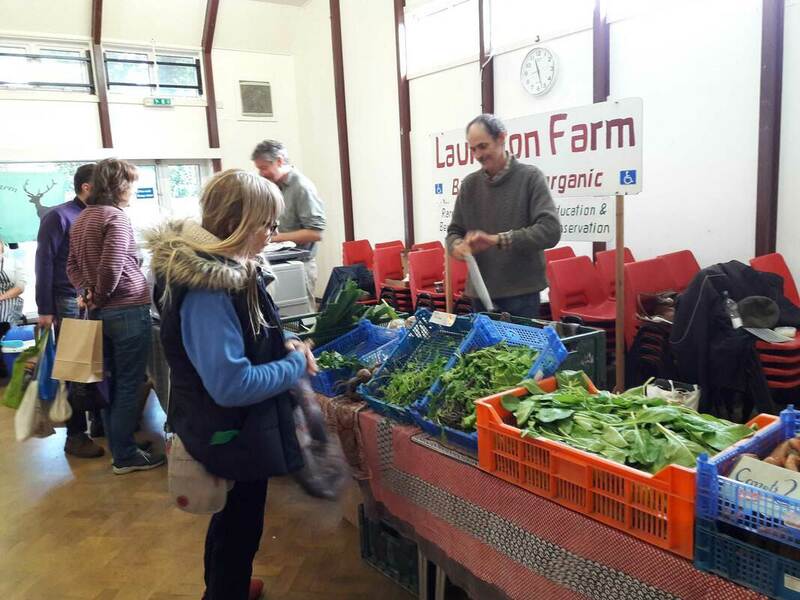 The market is on the third Sunday of each month in the Village Hall between 9am and 12.30pm. For those coming by car, there is plenty of free on-street parking nearby. We're looking forward to the next market this coming Easter Sunday. If you live locally or happen to be in the area, then do drop by. If you love biodynamics, you'll love this. Ralf Roessner has chosen our farm as the UK venue for his talk and workshop over the early May Bank Holiday weekend. We couldn't be more honoured, because Ralf is a big name in biodynamics on mainland Europe. He is a passionate bee-keeper and biodynamic farmer who produces light root (Chinese yam), which is prized for its medicinal properties. In addition, he has worked in the field of water research for over 20 years. Ralf specialises in natural medicine, nutrition, healing water technologies and education in the “subtle energy fields”. He is the author of The Light Root and The Genius of Bees and the Elemental Beings. On Friday 3rd May at 8pm he will be giving a talk on 'The Initiate Consciousness and the Mission of the Folk Spirit'. 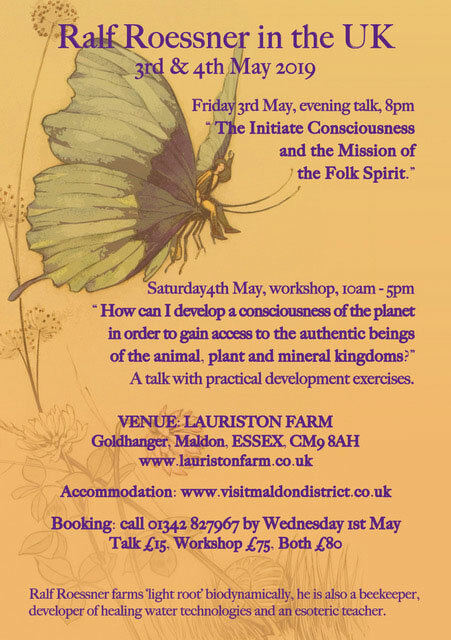 This is followed by a workshop the next day on Saturday 4th 10am - 5pm , 'How can I develop a consciousness of the planet in order to gain access to the authentic beings of the animal, plant and mineral kingdoms?' A talk with practical development exercises. For more details and to book, visit our dedicated Event webpage. 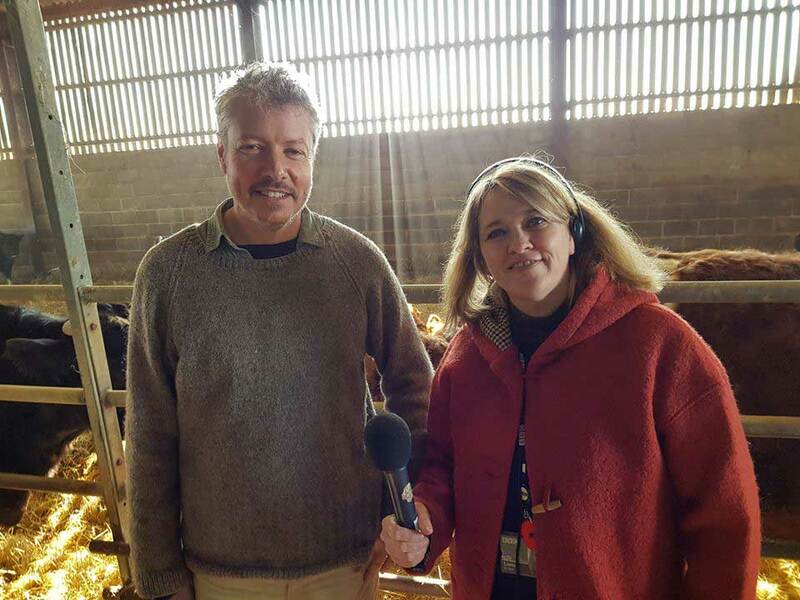 We had a touch of stardom, when BBC Essex popped by at the farm as part of their Sunday morning radio programme the Quest. 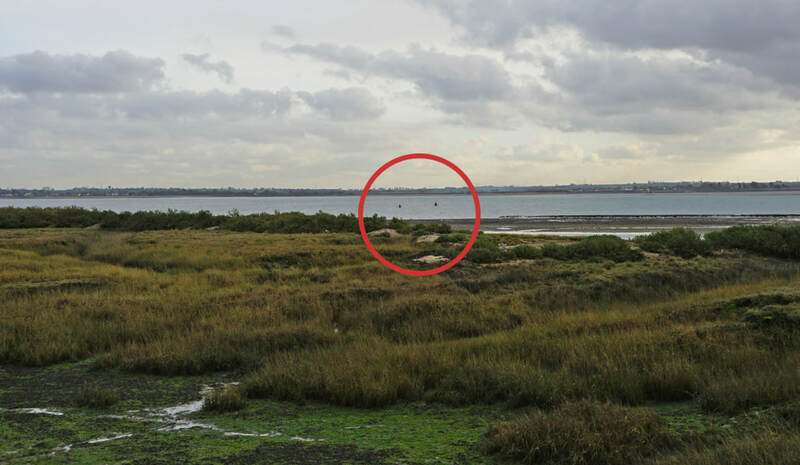 It's a programme where listeners have to work out from the clues locations in Essex. The presenters then visit the location, where they then get the clue for the next destination. It's hugely popular with listeners. Spencer was giving the cows breakfast when they arrived. But it was Bright Eyes that stole the show, with his cameo role as the dancing cow. You can listen to the programme here, we're 55 mins in and after the news too. There's no stopping Team Lauriston. Just a month after joining the Colchester Market, we've now started trading at The Bell Inn Farmers' Market, Tolleshunt Major too. Our first visit couldn't have been more auspicious. The weather was stunning, giving us the first taste of spring, and there was lots of interest in our eagerly awaited stall. We are pleased to say, our meat sales did particularly well for a first market and we anticipate lots of repeat customers. The market is extremely popular with the villagers and the clay pigeon shooting behind the pub is a great draw. The Bell Inn is less than ten minutes drive from the farm, so it's not only extremely easy to get to but will be great for increasing local interest in the farm and our produce. 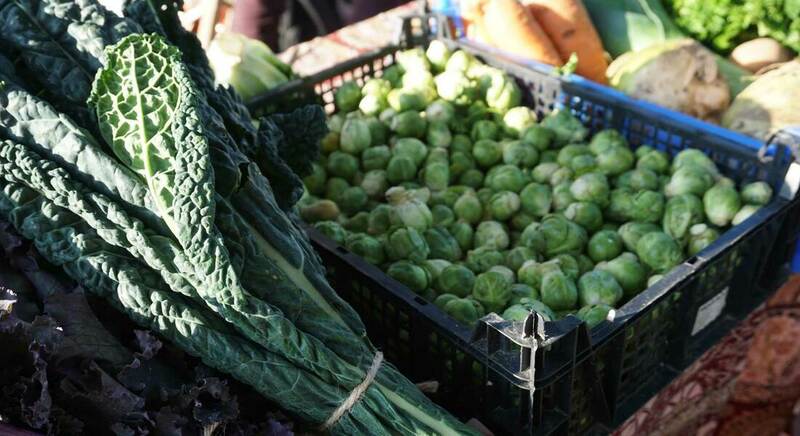 We look forward to the next market on Sunday 31st March 9am - 1pm. If you're nearby, then do drop by. We are very excited to announce that we will be at the Colchester Farmers' Market this coming Friday from 9.30am - 12.30pm. It's in the Colchester Arts Centre in the middle of town. This is our second market, following on from the success of the one in Wivenhoe. We will be there with all our biodynamic vegetables and meat, along with our organic wool and wool craft items made from our Ronaldsay flock. It's a great opportunity to stock up on some top quality grub. They'll be lots of other stalls with local produce and crafts. We hope to see you there. We had a great visit from the Biodynamic Agricultural College. The students were here to learn about Habitat Management and are from farms all over England and Southern Ireland. We work closely with nature to improve wildlife habitats. 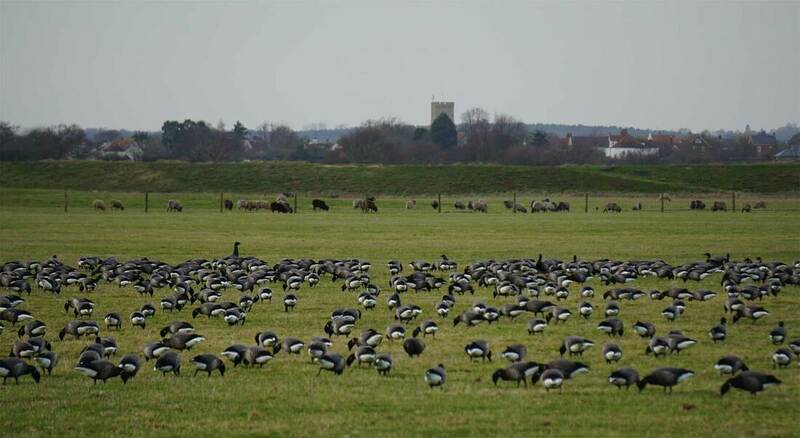 One of our target species is Brent Geese who, on cue, turned up in their hundreds during the visit. Have a greener, healthier and more ethical 2019. Join us at the Wivenhoe Market, Wivenhoe Congregational Church on Saturday, 19th Jan 9.30am-2pm. You'll be able to buy our biodynamic and organic vegetables and meat, along with organic certified sheepskins, wool and more. There'll be lots of stalls there too, with locally made jewellery, jams and preserves, crafts, haberdashery, cards and cakes. For more details about the market click here. Now in it's fifth year, Lauriston Farm is happy to release the dates of the 2019 Seven Day Introduction to Biodynamics Course. Over seven Saturdays from February 23rd to July 6th we shall explore all the basics of the biodynamic method of farming and gardening. 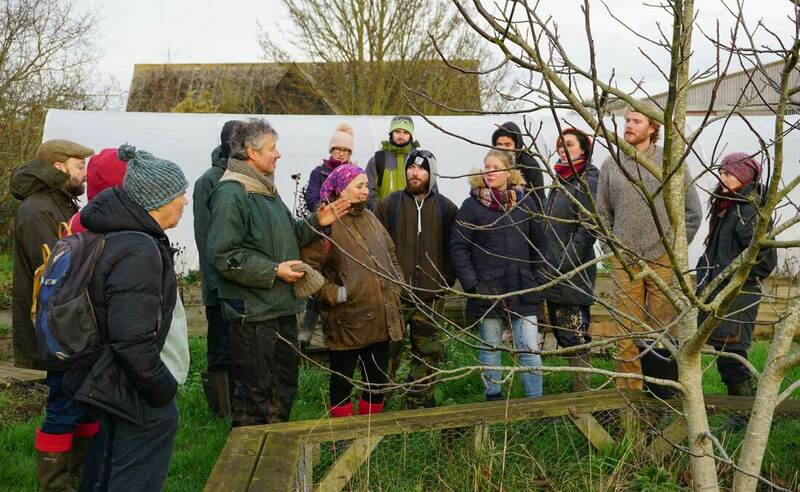 Theory in the morning and practical application in the afternoon on Lauriston's 210 acre Demeter certified farm gives you a varied way of learning and by the end of the course all the tools you need to starting using the method in your garden, allotment, smallholding or farm. The staff at Lauriston host the course together with guest lecturers. Spencer Christy, Ander Kleinjans and Monique Kleinjans bring a combined experience of over eighty years in biodynamics. Spencer founded Lauriston, Andre and Monique studied at Wormonderhorf College in the Netherlands and have worked on three farms specialising in biodynamic horticulture before coming to Lauriston in 2017. We look forward to seeing you on the course! Head down to the farm and find out what we do at our Farm Open Days. They run from November until the end of March. This is a great opportunity to learn more about biodynamic farming, the work we do and how we plan to expand the farm's amazing work through our share offer creating a sustainable future. 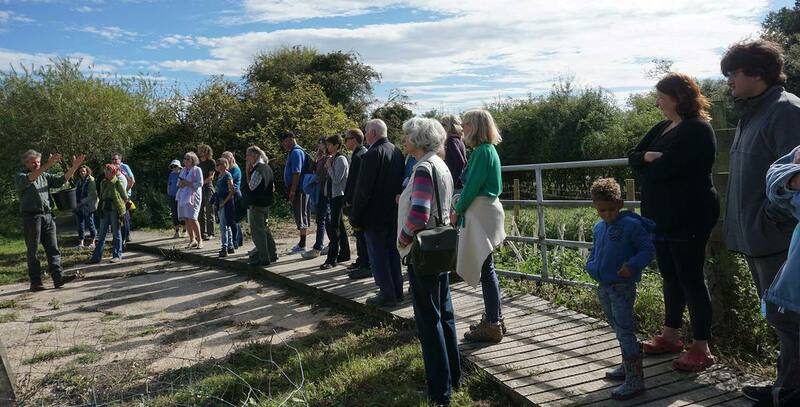 We start with an introductory talk, followed by a walk around the farm and end with a cuppa in the barn. It lasts a maximum of 2 hours. There'll be lots of opportunities to ask questions. You're very welcome to bring family and friends along.